We act as credit brokers and we are not a lender. We will introduce you to a limited number of lenders who may be able to help finance your purchase. These lenders may or may not pay us for the introduction. †Includes £2500 Deposit Allowance Paid By Manufacturer. *Excess mileage charge of 8.4p per mile. If you exceed this annual mileage then excess mileage charges will be applied by the finance provider at the end of the agreement should you choose to return the vehicle. Finance subject to status. A guarantee may be required. Terms and conditions apply. Unless otherwise stated, metallic paint at extra cost. Library image for illustration purposes only. The Volkswagen Golf offers a formula that's tried, tested and popular with British buyers. This latest car features a smarter look and upgraded infotainment and, in this form, a slightly more powerful 1.6-litre TDI desel engine. Otherwise, things are much as before. So there's class, quality and a certain understated style. After six model generations, 38 years and 29 million cars, it would perhaps be a little surprising if Volkswagen didn't have the hang of building Golfs by now. You certainly wouldn't expect anything radical or off-beat with the Golf Mk 7 and, without wishing to destroy a cliffhanger of a plot line, so it proves. This is a well-honed formula that works. Why mess with it? So how have we come to this point, this incrementally bigger, sleeker and more sophisticated take on an established favourite? Its predecessor, the Golf Mk 6, had been one of the more successful Golf models. Introduced in 2008, it built on the foundations of the Mk 5, offering better safety, better efficiency but a lower build cost. The Mk 7 might look like another refinement of that vehicle, but despite the evolutionary styling, it's completely fresh from the ground up but still unambiguously a Golf. 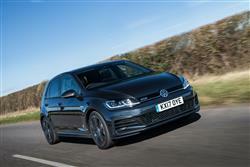 And it's in the 110PS 1.6-litre TDI diesel form we look at here, that most British-bound Golfs will be ordered. Get under the skin of this latest Volkswagen Golf and you'll find the same stiff, sophisticated MQB chassis this 7th genration model was launched with. As before, interior refinement is impressive, with very little road noise filtering back into the cabin. Tyre noise and engine sounds have also been muted to the sort of level you'd have expected from a Phateon limousine not so long ago. The 1.6-litre TDI diesel variant we look at here now puts out 115PS, 5PS up on before. Otherwise, the engine's not much different - the main development work on it went into creating an eco-conscious BlueMotion version. Still, in either form, it's a unit that's acceptably rapid for its modest station in life, with 62mph from rest in the ordinary model around 11s on the way to around 110mph, with 250Nm of torque to zip you through the five-speed gearbox. The ride suffers a little with the adoption of a less sophisticated torsion beam rear suspension for lower order Golf models like this one, but you only really feel it over very poor surfaces or when pushing on hard. On the move, there's a standard XDS electronic differential lock for sharper corner turn-in and, on all but the entry trim level, a so-called 'driver profile selection' system. Here, four available programmes - 'Eco', 'Sport', 'Normal' and 'Individual' - alter the throttle mapping and engine management to suit your chosen driving style. Add the optional ACC Adaptive Chassis Control system, which enables you to tweak the suspension to suit the road and your mood, and there's a fifth 'Comfort' mode. The first thing you'll notice about this revised Golf is probably its slightly sleeker front end. Many variants now get full-LED headlamps and the air intakes at either corner of the front bumper have been restyled too. Jewel-like LED tail lamps are now standard across the range and on top versions, there are smart animated flowing indicators too. Otherwise, things are much as before - which means that there's a choice between three or five-door hatch and estate bodystyles, both of which sit on the Volkswagen Group's light, stiff and very sophisticated MQB chassis. And behind the thinner multi-function steering wheel? Well, as ever, nobody does it better than this. It isn't that it feels especially plush, though the quality of materials used is excellent - and far better, incidentally, in this Wolfsburg-constructed Golf than Volkswagen's similarly priced but Mexican-built compact Jetta saloon. It's just that everything is of just the right quality and feels absolutely fit for purpose. In this revised model, the cabin has been given a lift by the addition of smarter decorative trim panels on the doors, the dash panel and the centre console, as well as classier seat covers. Out back, there's a 380-litre cargo bay in the hatch version that's much bigger than that provided by rival Focus and Astra models. It can be extended to 1,270-litres if you push forward the rear seats. Pricing starts from around £20,000 for the five-door version of this 1.6 TDI that most will want. There's a £655 premium to go from the three-door bodystyle to the five-door bodyshape that 90% of British buyers choose and from there, you get the option of finding a further £700 more for the estate bodystyle if you want it. A key change with this revised model lies with media connectivity. An 8-inch 'Composition Media' screen now comes as standard. Plus there's the option of a really sophisticated 'Discover Pro' monitor, this being the first Volkswagen infotainment system to offer both touch and voice-command operation, with gesture control in addition to proximity sensors. Your dealer will also want to tell you about the clever 'Media Control' app that can be used if your Golf's infotainment set-up incorporates a wi-fi hotspot. Passengers simply connect in their 'phones or tablets via the app, then the entertainment system can be operated from anywhere in the car. As you'd expect, there's full 'Apple CarPlay' and 'Android Auto' compatibility so you can link in your smartphone and use your favourite apps in-car. And we like the new 'Security & Service' package that can automatically alert the emergency services in the event of a breakdown or an accident, book servicing and even advise you if the car is driven beyond a certain area, should you lend it out. 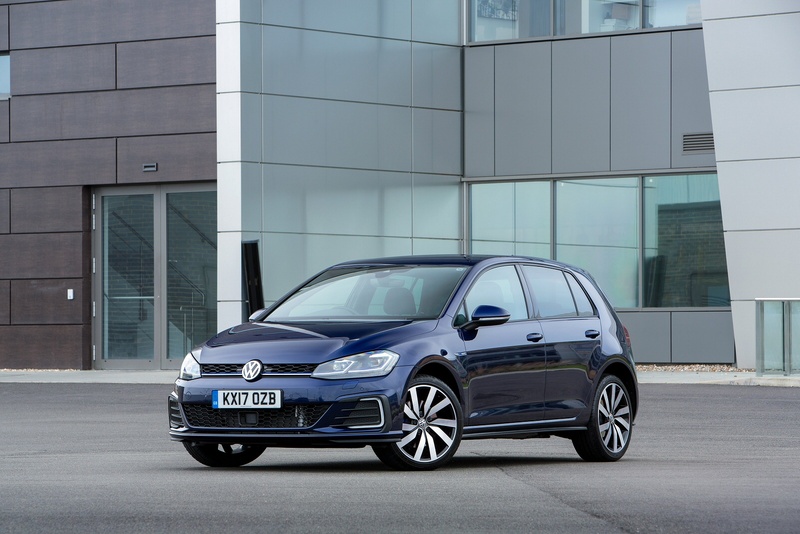 One of Volkswagen's key priorities with this seventh-generation Golf was to reclaim its position as one of the most efficient family hatches, a position it had been struggling to maintain in the latter years of Mk 6 production. So how has it gone about achieving these efficiency gains? The big one is a weight loss plan. Then there are aerodynamic advantages, lower internal friction in the engines and optimised gearing on not only the five and six-speed manuals but also the six and seven-speed DSG twin clutch units. 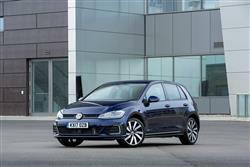 All new Golf models - both diesel and petrol - come with a Stop/Start system as standard, along with battery regeneration. All well and good. What about the figures? The 1.6 TDI returns a combined cycle reading of 74.3mpg and emits just 99g/km in the process, so if you're collecting petrol station loyalty points, that toaster you're saving up for won't be yours until somewhere in the region of 2019. And you'll do even better if you specify this 1.6-litre TDI engine in BlueMotion' form, in which guise this car is capable of returning 88.3mpg on the combined cycle and hybrid-like CO2 emissions of 85g/km. If you�re looking for a new Volkswagen Golf 1.6 TDI Match 5dr Diesel Hatchback for sale, you�ve come to the right place. At Bristol Street Motors we don�t just have the best Volkswagen Golf 1.6 TDI Match 5dr Diesel Hatchback deals, we also offer friendly advice and help with all your enquiries to ensure your buying experience is a happy experience.